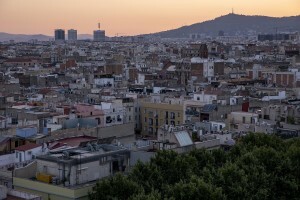 A general view of the city from the Barcelò hotel terrace in the Raval district, in Barcelona, Spain on July 10, 2018. 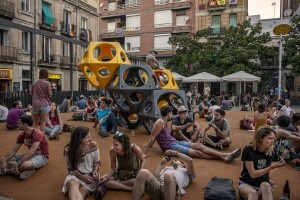 People are seen in Plaza del Sol, in Barcelona, Spain on July 8, 2018. Ciara, 20 years old is portrayed near a mural outside Centre de Cultura Contemporània in the Raval district in Barcelona, Spain on July 11, 2018. The Raval is one of the most multicultural and colorful neighborhoods in the city and it hosts numerous artists and galleries. People walk in the streets of El Born district in Barcelona, Spain on July 11, 2018. 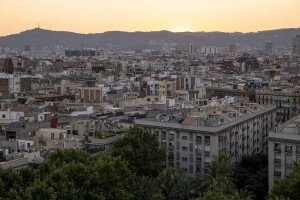 El Born is a district with an aristocratic past that today has become a cultural area in continuous development, inhabited by a lively community of creative people and where lots of art galleries are located. 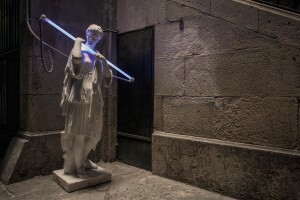 A statue holding a neon is seen in a street of Barcelona, in Spain on July 5, 2018. Juan, 36 years old from Cordova (Andalusia) and architect is portrayed in El Born district in Barcelona, Spain on July 11, 2018. 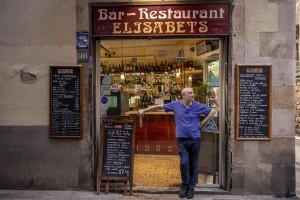 El Born is a district with an aristocratic past that today has become a cultural area in continuous development, inhabited by a lively community of creative people and where lots of art galleries are located. Waxwork figures of historical and cultural characters are seen inside the Wax Museum of Barcelona, in Spain on July 5, 2018. 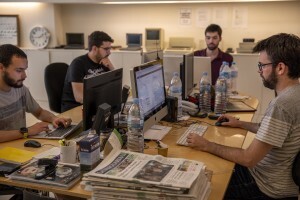 Journalists at work inside the editorial office of “Vilaweb” in the Raval district in Barcelona, Spain on July 12, 2018. “Vilaweb” is a Catalan-language web portal and daily news outlet founded in May 1995. 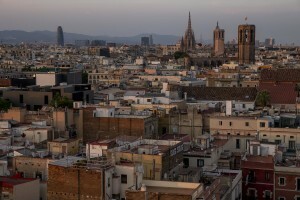 The Raval is one of the most multicultural and colorful neighborhoods in the city and it hosts numerous artists and galleries. 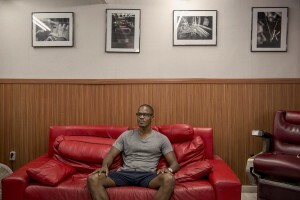 Duane, 28 years old is portrayed inside “Krispy cuts”, his barber shop located in El Born district in Barcelona, Spain on July 11, 2018. El Born is a district with an aristocratic past that today has become a cultural area in continuous development, inhabited by a lively community of creative people and where lots of art galleries are located. 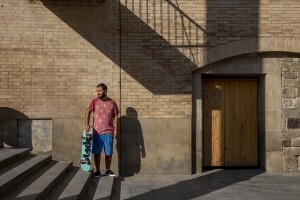 A skater is portrayed outside the MACBA museum where usually skaters meet in the Raval district in Barcelona, Spain on July 12, 2018. The Raval is one of the most multicultural and colorful neighborhoods in the city and it hosts numerous artists and galleries. 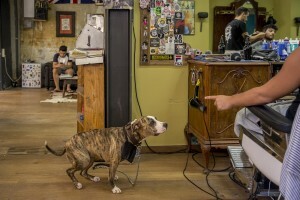 A barber shop in the Raval district in Barcelona, Spain on July 12, 2018. The Raval is one of the most multicultural and colorful neighborhoods in the city and it hosts numerous artists and galleries. People are seen inside “Discos Paradise” a record store located in the Raval district in Barcelona, Spain on July 12, 2018. The Raval is one of the most multicultural and colorful neighborhoods in the city and it hosts numerous artists and galleries. 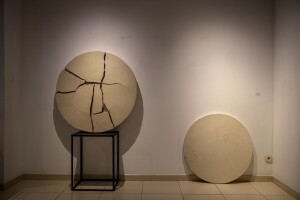 A sculpture by Maite Salutregi is exposed inside “Assocaciò ceramistes de Catalunya” in El Born district in Barcelona, Spain on July 11, 2018. 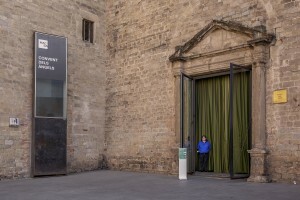 El Born is a district with an aristocratic past that today has become a cultural area in continuous development, inhabited by a lively community of creative people and where lots of art galleries are located. 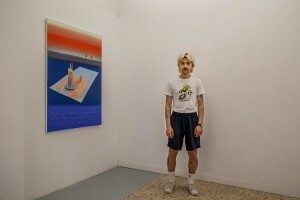 A portrait of Pol Richart Herms, director of “etHALL” art gallery in the Raval district in Barcelona, Spain on July 12, 2018. The Raval is one of the most multicultural and colorful neighborhoods in the city and it hosts numerous artists and galleries. 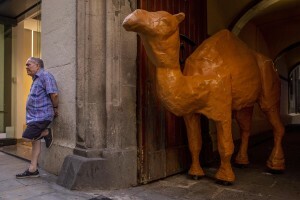 A man is portrayed near the statue of a camel in the Raval district in Barcelona, Spain on July 12, 2018. The Raval is one of the most multicultural and colorful neighborhoods in the city and it hosts numerous artists and galleries. A girl is portrayed outside the MACBA museum in the Raval district in Barcelona, Spain on July 12, 2018. The Raval is one of the most multicultural and colorful neighborhoods in the city and it hosts numerous artists and galleries. 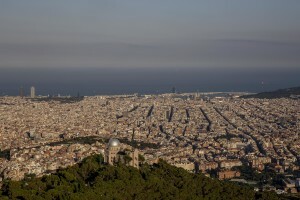 A general view of Barcelona fr​om Tibidabo mountain in Barcel​ona, Spain on July 6, 2018. Ti​bidabo is the tallest mountain​ in the Serra de Collserola. R​ising sharply to the north-wes​t, it has views over the city ​and the surrounding coastline. 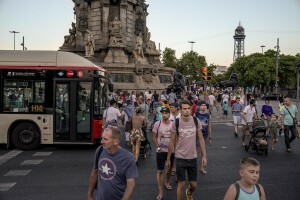 People are seen in the streets of Barcelona, in Spain on July 5, 2018. 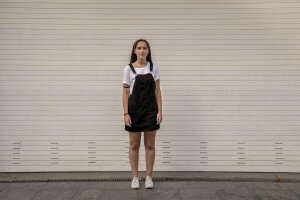 Irati, 18 years old is portrayed outside Centre de Cultura Contemporània in the Raval district in Barcelona, Spain on July 11, 2018. The Raval is one of the most multicultural and colorful neighborhoods in the city and it hosts numerous artists and galleries. 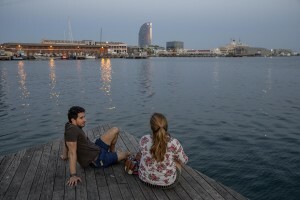 A couple is seen in the port of Barcelona, Spain on July 12, 2018. 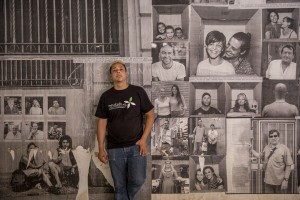 Alexis, 30 years old is portrayed inside “Krispy cuts”, his barber shop located in El Born district in Barcelona, Spain on July 11, 2018. 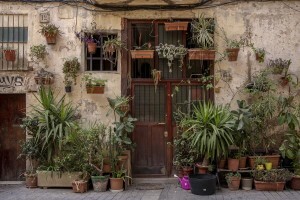 El Born is a district with an aristocratic past that today has become a cultural area in continuous development, inhabited by a lively community of creative people and where lots of art galleries are located. A street of Barcelona, in Spain on July 8, 2018. 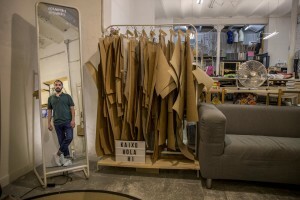 Lantoki is at the same time a tailor’s laboratory and a fashion shop in the Raval district in Barcelona, Spain on July 11, 2018. The Raval is one of the most multicultural and colorful neighborhoods in the city and it hosts numerous artists and galleries. A street of El Born district in Barcelona, in Spain on July 11, 2018. El Born is a district with an aristocratic past that today has become a cultural area in continuous development, inhabited by a lively community of creative people and where lots of art galleries are located. 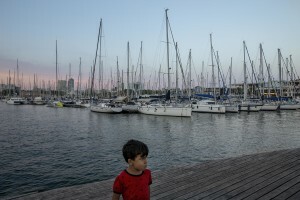 A child is seen in the port of Barcelona, Spain on July 12, 2018. A man outside his bar in the Raval district in Barcelona, Spain on July 12, 2018. The Raval is one of the most multicultural and colorful neighborhoods in the city and it hosts numerous artists and galleries. People walk in Plaza Colon in Barcelona, Spain on July 12, 2018. 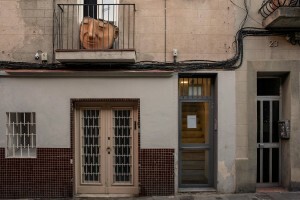 A guardian at the entrance of the “Convent del Angels” in the Raval district in Barcelona, Spain on July 12, 2018. The Raval is one of the most multicultural and colorful neighborhoods in the city and it hosts numerous artists and galleries. David, 24 years old from Brazil and student at a cooking school is portrayed during a break in El Born district in Barcelona, Spain on July 11, 2018. 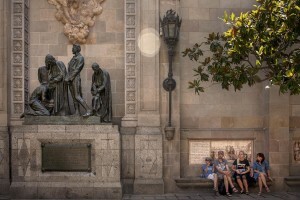 El Born is a district with an aristocratic past that today has become a cultural area in continuous development, inhabited by a lively community of creative people and where lots of art galleries are located. 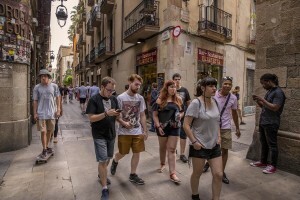 People walk in the streets of Raval district in Barcelona, Spain on July 12, 2018. The Raval is one of the most multicultural and colorful neighborhoods in the city and it hosts numerous artists and galleries. Girls have fun in a street of the Raval district in Barcelona, Spain on July 12, 2018. The Raval is one of the most multicultural and colorful neighborhoods in the city and it hosts numerous artists and galleries. 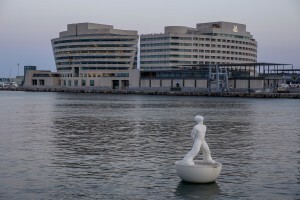 A general view of the port of Barcelona, Spain on July 12, 2018.